In this podcast, Ramon Ray talks with Ian Acker, owner of Fit to Recover, a nonprofit gym that supports people in recovery through exercise, community service, nutrition and creative expression. Inspired by his recovery in a similar facility, Acker started having his own workouts in a park with a boom box, inviting people in recovery to join him through Facebook. Today, the business has over 40 classes, work with 7 treatment centers, and has 105 members. The gym works as a stepping stone to recovery and charges only $1 a day. They only ask that you be 24 hours sober. The money they earn goes only towards taking care of the facility and paying Acker and his employees, and any extra money goes back into the company. Ian, thanks for coming to the line today and sharing with us about your business. Absolutely. Thank you for having me. You're welcome. 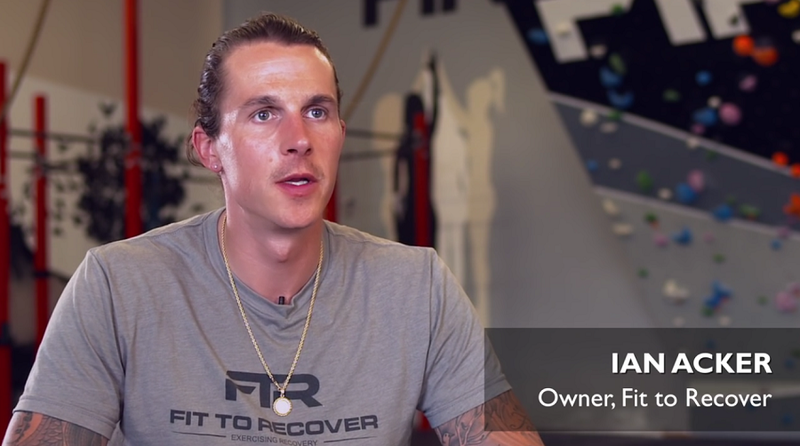 Ian, tell us, what is Fit to Recover? When did you start it? Why did you start it? Give us a bit of information on what is Fit to Recover? Okay. Fit to Recover is a non-profit gym to support people in recovery through exercise, community service, nutrition, and creative expressions. It came to be, I was actually in treatment for the fourth time five years ago and I heard of this place called Pheonex Multisport and they did outdoor activities with people in recovery and my background was, I played soccer in college and always been active and I started training people at the treatment center I was at in return for food. They would cook for me and I would train them and I found that you can really break somebody down and get vulnerable after a workout. I took that little bit of momentum that I had in treatment and I capitalized on my connection with people and I started in the park with four people and a boombox. Were you playing slow jazz music or what were you playing on the boombox? I'm not teasing you. I love hip hop music, man. Hip hop is my life and I thought I was going to be a rapper in my using career. I actually have a music studio in the gym which is kind of neat but I made a huge purchase at the time. It was a Beats boombox for $500 and I put a Facebook post out there and I said "Anyone willing to join me in recovery to work out in the park." We got a little bit of traction, you know, four people. Then I stayed consistent with it and I did it next week and there was ten, and then it went back to four, and then I got self doubting and I got scared and then it went to 15 and then 20 and then it turned into something that people were talking about and I offered another class, [inaudible 00:02:34] allowed us hold a run group at their facility, so now I had a run group and a boot camp in the park. What was difficult about the process? Just the real estate overall in making such a purchase or renting or something else more difficult than normal? It's more my background and what I was gonna do. Yeah. It was "You're in recovery and I don't know if I trust you and X, Y, and Z." How do you feel about that? Do you feel that "I get it. I understand it" or do you feel, you know, "Give somebody a chance?" How did you feel about that when you heard that then or maybe when you hear that now. What goes through your mind? What's your attitude towards that? I'm the person that, I trust everyone until you give me a reason not to trust you, so I believe that everyone should be given a chance and not judged on their past. It was frustrating. The irony is we just won Community Impact Award, a national award, and for someone to say that this isn't gonna be good for the community, we kind of said "Look we're gonna operate in a loving manner and we're gonna treat other people how we want to be treated" and instead of making something that's a disaster to the community, we won an award for the impact that we're having on the community. For more, click play on the video above to listen to the full podcast, and download the transcript. Acker worked with volunteer mentor Doug McNeil to realize his dream.